“We had no clue whatsoever what it would turn out to be” Jim Sporleder, former Principal, remarks as he looks back on Lincoln Alternative High School, the growing movement of CRI’s trauma-informed community initiative, and the production of the documentary Paper Tigers. Jim’s story is an iconic one. In fact, many have inevitably heard of Jim’s work if they have seen the documentary Paper Tigers; it chronicles the profound impact on Lincoln Alternative High School as Jim, the staff, and the community introduced trauma-informed practices and spread the movement throughout many partners and entities. Read the full story of Lincoln’s transformation here. Reflecting on the journey, Jim highlights key pieces of the story that stand out: our self-regulation as adults, caring adult-child relationships, and the incredible power of community collaboration. “It’s our biggest challenge right now that we have dysregulated adults working with dysregulated kids,” he says. “We believe we have to increase the fear to get control of the student. The research tells us that’s failing miserably.” Instead, managing our own fear models emotional regulation for a student; a calm adult can help “bring the calm” to a dysregulated student. This helps them feel safer, allows for more connection, and ultimately can lead to a change in behavior. When students were sent to his office after losing their temper, Jim would ask them one important question: was the stress that caused the explosion coming from within school? Ninety percent of the time, the trigger was at school, but the root of the problem was coming from outside. Not only did this allow for strategies to regulate emotion once the student was calm, but it built trust. It built relationships between the staff and students. We’ve learned much from Lincoln Alternative High School; these three factors- self-regulation, adult-child relationships, and the power of community- are merely the surface of the trauma-informed movement. Yet the results were profound. 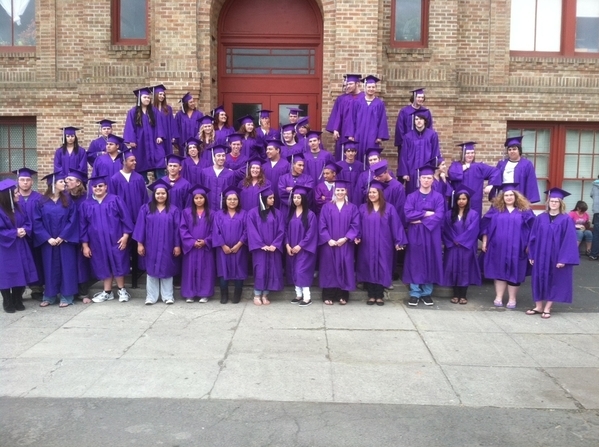 The movement is now growing beyond Lincoln, beyond Walla Walla, into schools across the country, into other sectors. “It’s growing faster and faster than I’m able to keep up with,” Jim observes. The results that Lincoln has seen are bold, inspiring, and attainable by others. Trauma-informed community initiatives are radiating throughout the country, and much of it began in Walla Walla. 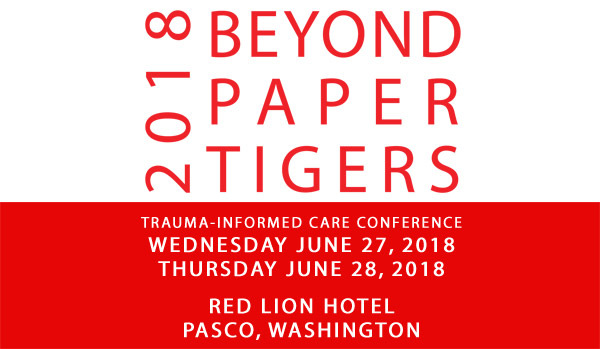 Jim Sporleder will be presenting at the 2018 Beyond Paper Tigers Trauma-Informed Conference, June 27th & 28th in Pasco WA. Purchase Tickets and Register for the 2018 Beyond Paper Tigers Conference here.